Star Wars games have had something of a tumultuous journey in recent years. Whereas the nineties and early noughties saw a slew of fantastic Star Wars games, there’s no denying that quality control has taken something of a back seat in more recent times. The franchise has been increasingly used to primarily push merchandise and, in the case of video games, attracting external developers who will pay a pretty penny for a licence, only to then make a mediocre title that sells on its name alone. Despite this, it’s fair to say that Angry Birds Star Wars on Wii U is not a blatant attempt at cashing in. In fact, this is a well-made game that’s fun to play for the most part, and one which serves as a fun, light-hearted tribute to the things that made the original films so great. The only problem is that this particular version simply costs too much. For years now, we’ve been enjoying numerous instalments within the Angry Birds series on our smartphones and tablet computers, with each game typically costing no more than a couple of pounds or dollars. 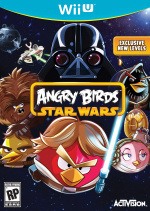 Angry Birds Star Wars on Wii U, however, is a retail release, which means that it also costs a heck of a lot more. While the game does offer some exclusive content, as well as a multiplayer mode, the changes simply aren’t drastic enough to warrant the considerable price hike. If you’ve been living under a rock for the past few years and have no idea what Angry Birds entails, then don’t worry as it’s fairly straightforward. 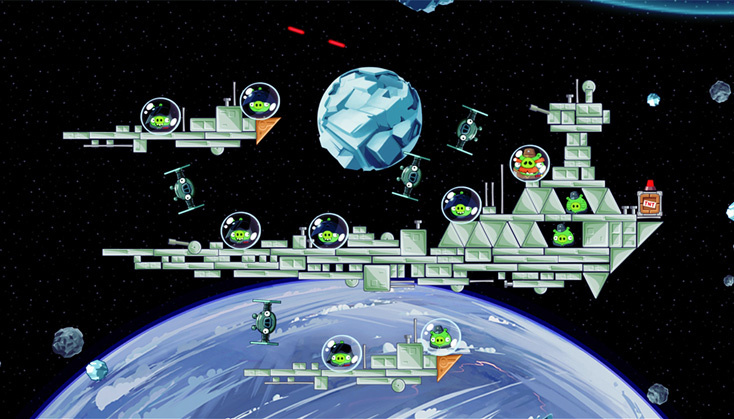 Using a large catapult, you must fire an array of different birds across a 2D plane at precarious constructions containing Bad Piggies — the archenemies of the Angry Birds. The goal in each stage is to destroy all of the Bad Piggies using only a finite number of birds — something which is easier said than done in many of the game’s later stages. In keeping with the licensed theme, all the creatures resemble Star Wars characters, although it is perhaps a tad strange that the (supposedly) Angry Birds are representing Light Side characters. Each character also has a unique ability, which come in very handy in certain situations. Luke Skywalker’s Lightsaber provides an additional attack that’s great at hitting passing enemies or breaking through walls, while Han Solo’s blaster is perfect for hard-to-reach places. More often than not, using an ability in a specific way is all that you need to do in order to a complete a level with a single bird, which in turn enables you to score big points. This is essentially what makes Angry Birds a truly fun game to play; trying to work out the perfect timing and trajectory in which to launch your birds may take a while, but the game’s short, self-contained levels welcome this trial-and-error approach. 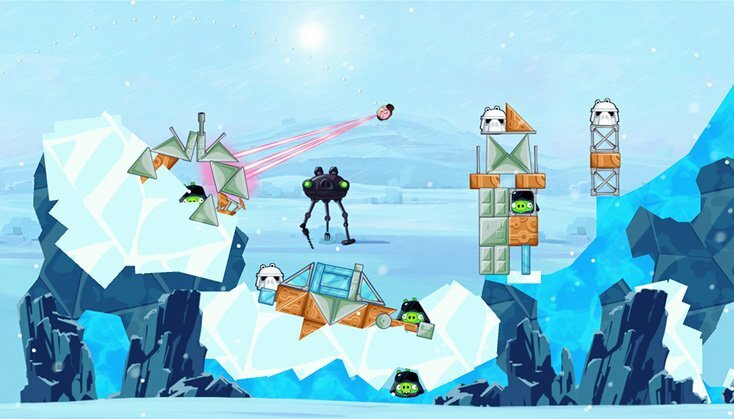 When it comes to visual style, Angry Birds Star Wars does a good job of capturing the pure essence of the epic space opera. It’s clear that this blending of intellectual properties has been carefully orchestrated by fans who respect the original trilogy. The stills that show in between sections of the game take a humorous approach that is likely to prompt the odd chuckle here and there; we couldn’t help but smile at one particular scene which left no doubt about who shot first in the Mos Eisley cantina. In terms of how the game is presented on the Wii U, it’s not especially different from any other version you may have seen. ; the display is split across both TV and GamePad, and it’s worth noting that the latter actually looks surprisingly sharp. There are also a number of different control methods. As expected, the game takes advantage of the GamePad for touch-screen controls, which work as they would on a tablet. Occasionally the camera will freak out a little bit, not moving with your bird after it has been catapulted, but this seems to be a very rare occurrence. Otherwise, you can use the traditional joystick/buttons setup, but it’s fair to say that this just doesn’t match up to the intuitive speed and feel of the touch controls. Lastly, there’s also the ever-reliable Wii Remote, which is the next best alternative to the GamePad itself. Multiplayer — which is technically the only real unique selling point this version has to offer — is an underwhelming affair. Playing the game cooperatively, for example, adds absolutely nothing to the experience; the gameplay is still turn-based and you share the same pool of Angry Birds. Moreover, the game seems to struggle when it comes to determining when a player’s turn has ended in multiplayer; you’re often left waiting for 10-15 seconds, waiting for the game to decide when the next person can go. It’s actually quicker to just keeping passing the controller to one another in the single-player mode, and the only thing that is lost by doing this is individual scores for each player. This issue also rears its ugly head in the versus mode. This mode really does seem like a missed opportunity; simultaneous play on bespoke multiplayer stages could have created a far deeper and more rewarding experience. 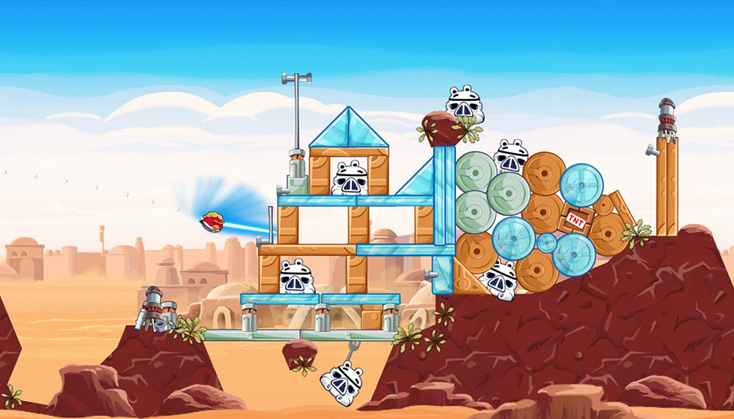 Angry Birds Star Wars isn’t a bad game. While it does suffer from a few issues here and there, it’s an enjoyable experience overall. Nevertheless, it’s a good game sold at a bad price, and one which doesn’t reflect value for money; the exclusive content and subpar multiplayer mode do not merit the considerable jump in price. Given that Nintendo has the Wii U eShop and that Angry Birds originated as a digital game, it’s baffling that Activision didn’t just release a more affordable version of the game through that. If for some reason you’ve never played the game, don’t have a smartphone or tablet and are happy spending an extortionate amount of money on an otherwise cheap game, then Angry Birds Star Wars may be worth a look. Everyone else should fly the coop and play it elsewhere. I would think this should be a $5 - $10 eShop game with the added content. $40 is crazy for this. Yeah, I'll keep it on my phone. For that price it should include the Second Angry Birds Star Wars game. It probably doesn't because I think the sequel came out shortly after this port did. Does anyone remember the creator of angry birds saying that Nintendo was only selling plastic? Why is this hard copy and to top it off $40 then? Really 40 dollars? I don't care for angry birds to begin with and I think of it as one of the most over rated games ever. (Obviously it is good enough to have a audience just why is it as popular as it is?) If I was desperate I would just get this on my phone though for a buck instead of a console. Seriously what were they thinking? I guess this is physical so kids can see the game at the store and beg their parents for it. For the price this should include all of the Angry Bird games ever made!!! But that still wouldn't make up for that high price! I heard this game is free on Ipad, my friend has one. @dadajo the reason it became so popular is because it was a free game and hundreds of thousands of people downloaded it, imagine it was first released and it was £39.99 I guarantee it would not be as big as it is now. When I speak of this title I use one sentence: 'Legal' is listed as a special feature. I had a lot of fun eating up time with Angry Birds in waiting rooms and between classes in my grad student years, but haven't played it for quite some time. And this is definitely overpriced. I just hope Angry Birds won't turn out to be overly expensive when you can get it on the iPhone or Android market for 99c. The same thing Popcap did with Plants vs Zombies. It was a dumbed down version of the iPhone App for it, and it cost 20$. I sold mine to Gamestop yesterday. I heard it wasn't a successful DS game for its price. Going to get my 3DS today. Don't have enough to get a game with it, but thats okay. I'm excited. 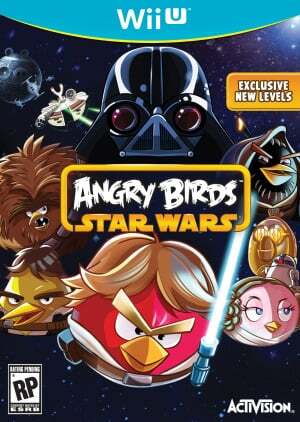 And now angry birds star wars: free on mobile, 40€ on 3ds. I think overly expansive is the right term. You can also play this game on your computer for $5, if you have one. Agreed. This is a $5 game. Someone must've messed up the math. Is Rovio aware that they are an indie developer making mobile games? If they can release a 'Mini' version of the original Angry Birds on PlayStation Network, don't tell me they can't make a $5 Angry Birds for the eShop in the very least. Even $5 is much better than $40. @CaviarMeths Not as long as the mainstream crowd thinks they are the "revolution of gaming"
Please. I'm not going to pay $40 to get the same thing that I could on my smartphone for FREE. Who the hell buys Angry Birds for £40? You must either be out of this universe crazy or a complete dimwit. Edit: I see you bought this game. I feel sorry for you... I feel really sorry for you. You didn't have to buy this... We knew it would be junk, but thanks anyway. I think this is a bad game to get for Wii U. The 3DS version will sell better than the Wii U version me thinks. By checking the app store every week for the free featured apps, I've managed to get a hold of every Angry Birds game without paying a dime. Your move, Activision! Heh, on the Wii and being gifted this at least so far it's pretty good. For those that lack an iPhone and can find it for the right price it's a good romp. This game is WAY to pricey cant you get it on your phone for like a dollar? Are there differences with the 3DS version? I still fail to see a $50 price tag justifying this game. It's extremely overpriced. I honestly believe that anyone who buys this for a game console when they could just download it for a buck is a moron. Not buying the game itself, mind you - everyone has their own tastes - but for that ludicrous price. @Captain_Toad I'm sorry... But I CANNOT look at your avatar without hearing the captain toad level's tune in my head xD and that's not a bad thing, because now I want to go play some more 3d world..
Rovio is the most annoyingly greedy company in the world! !